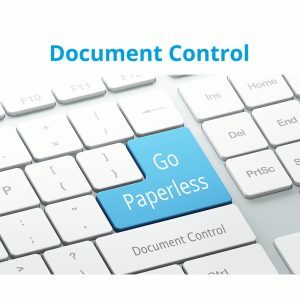 SFA offers manufacturing-driven, open architecture Production Data Management (PDM) document control software designed to organize & control CNC programs, setup sheets, safety procedures, quality documents, & other files with complete document & file revision control. Go paperless with your shop floor operation via integration of DNC, CNC Editor, Virtual CNC, MDC, & Tracker. Organization & control of various documents in the manufacturing process can be a struggle. Auditors check if you have control, management, & sign-offs of processes & files. Don’t find yourself left behind in getting the next order. 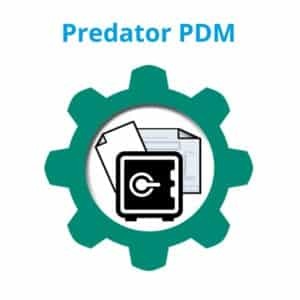 Predator Production Management starts simple with NC programs & work instructions – start easily & quickly while drip-feeding the system to your Departments, such as Engineering, Quality, & more. Integrate your ERP & MES system with open APIs (application programming interface) via 300+ methods. 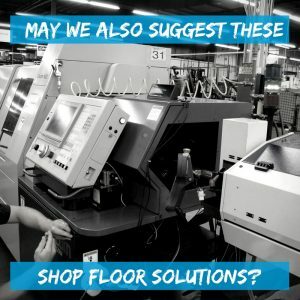 Ask us for more info on how PDM is a great shop floor management software solution by calling (877) 611-5825. Machine Monitoring – Machine utilization information, as it happens. Machine data collection for better OEE and improved decision-making. DNC Software – Network your machines and get a handle on CNC communication failures that plague your shop floor.